We absolutely fell in love with Old Quebec! Also know as Vieux-Québec, it's a UNESCO World Heritage Site divided into two sections, the upper town (Haute-Ville) and lower town (Basse-Ville). Our hotel in the upper part of Old Quebec was a literal stone's throw from everything, adjacent to their city hall. With Google Maps on our phones and our guidebook, we spent our first day in town exploring. We ended up at the Citadelle of the city, a working military base with a fascinating history. We enjoyed the museum and then joined for a guided tour, offered in either English or French. The Citadelle history is great, but one of the main reasons to visit is the fantastic view of the city! You can see both the upper and lower parts of town from there, as well as the river. In September and October, there are often cruise ships in port, which add to the tourist numbers in the fall. Tourism is Quebec's #2 industry, so the locals are happy to help you with directions and recommendations. Super friendly! Another beautiful building in town is the Notre-Dame de Québec Basilica-Cathedral. It is free to enter, and during our visit we were able to enter through a Holy Door (one of eight in the world! ), since it was during the Catholic church's Extraordinary Jubilee of Mercy. I'm not Catholic, so I don't know what it all means, but I felt compelled to enter through the door even if it was just for a bit of good luck! 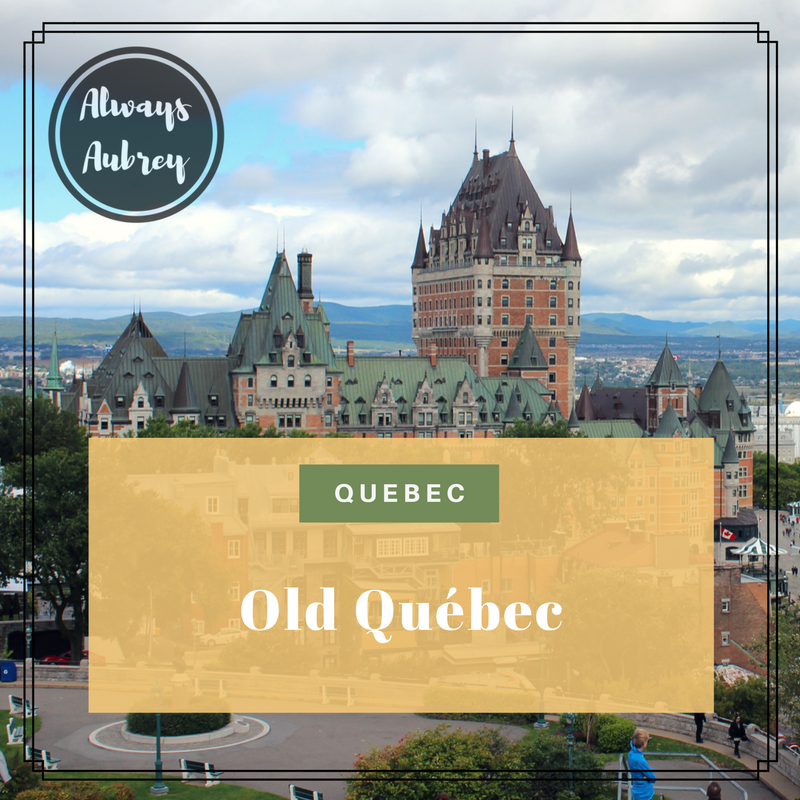 The most imposing sight in Old Quebec is definitely the Château Frontenac hotel, built along with a series of other hotels to attract visitors along the Canadian Pacific Railway. It's commonly thought to be the most photographed hotel in the world. We walked along the huge Terrasse Dufferin, the deck adjacent to the hotel, and inside the hotel a little bit. It's beautiful and luxurious... and it has a Starbucks! To get to Basse-Ville, you can walk down stairs or take a ride on the Funiculaire that is near the hotel. We walked, because it's too pretty not to! Basse-Ville is the original city, before the big walls, and it has retained some beautiful, historic charm. My favorite area was the Quartier Petit Champlain, a couple of adorable little streets full of historic buildings. They are pedestrian areas, since the buildings predate cars, and there are cute shops and tons of restaurants too. You don't want to miss this sweet neighborhood, which reminds me of an adorable Epcot destination, but real. Vieux-Québec was hands-down my favorite "experience" of our Quebec trip. I really could have spent an entire week there, or imagine living there, though most residents of the city live outside the walls near practical things like grocery stores. It was perfection, and we really loved everything about the city!